Sandwich and chips ready for the trail. 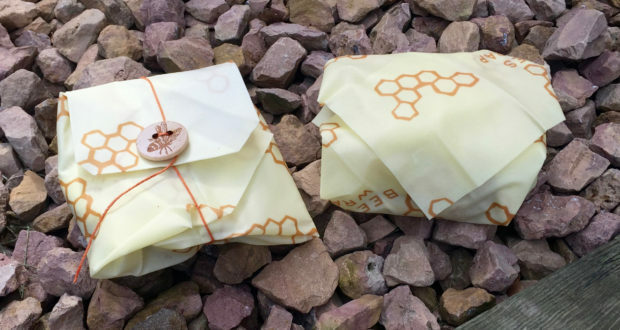 Use less plastic by wrapping your food in Bee’s Wrap. Plenty of room to wrap up a meal. It’s organic cotton treated with beeswax, jojoba oil and tree resin, and it feels…weird. It’s basically a waxy cloth that is very durable. So durable in fact, that you can wash it. I was hesitant to do that the first time. Like, I’m just supposed to run water over it and soap it up? Yes, you are. And it was good as new. I have to say that I became a fan over a few weeks of using it. I thought it would fall apart. It didn’t. I thought it would stop sticking to itself and conforming to my sandwiches. It didn’t. It’s weird stuff, and I have to say that it actually works quite well. 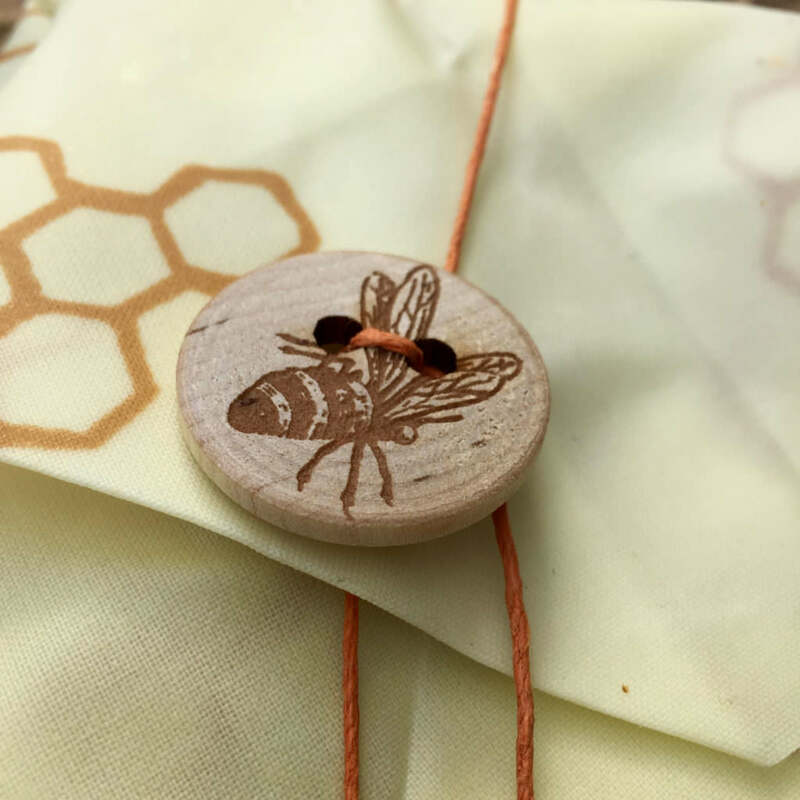 My favorite Bee’s Wrap is the sandwich wrap, which has a string and a wooden button. This allows you to really seal it up good with no problems. The other ones worked well too. My trick was to rub my hands together to warm them up and then press for a few seconds to seal the wrapper to itself. It worked great. The string and button holds your fare securely. 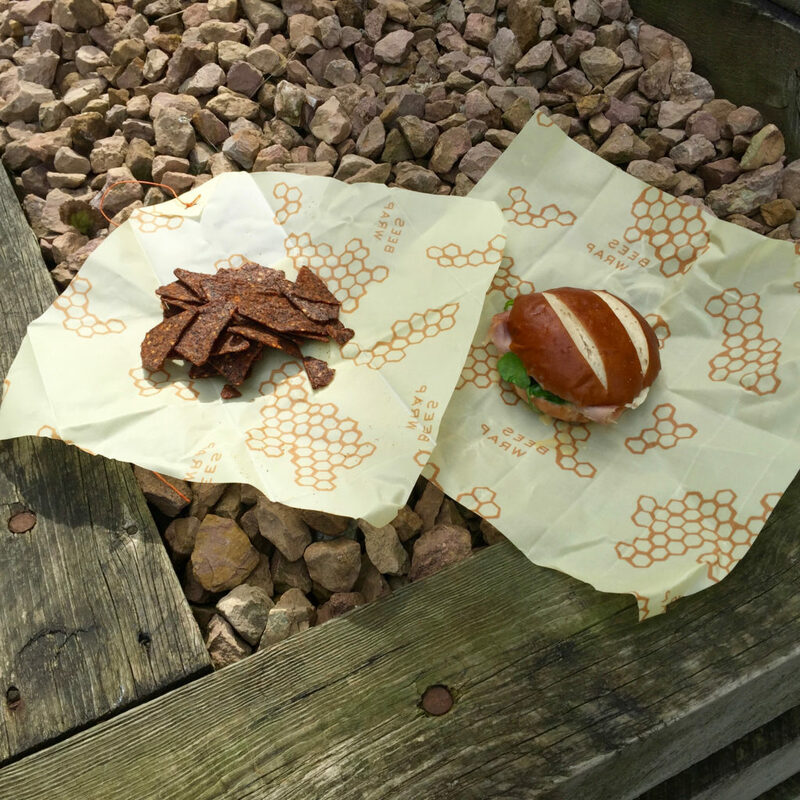 Bee’s Wrap is compostable, which I love. If it really lasts a year like they say, I’ll be even more impressed than I already am. There’s one other “hidden feature” to Bee’s Wrap that is pretty cool. You can shave a few thin strips off and use it as tinder. I was able to get about a 30 second burn time, which is plenty of time to start a fire with decent kindling. Previous: Do You Know Woodsgating?